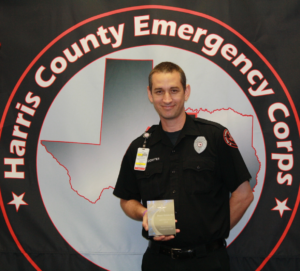 Shaun Kirkdorffer exemplifies each pillar of HCEC’s Corps Values every time he comes to work. He is a trusted professional, a trusted colleague, and a trusted member of the community. Shaun is the embodiment of stewardship, working not only as a leader at HCEC but also leading community outreach through his church. His colleagues state that Shaun is a great example of an AAA Star of Life. He is a role model employee and upstanding citizen. He represents us well both on and off duty. He currently serves us as an FTO and In Charge. He is and has been involved with outreach ministries for inner-city youth through his church. He is well known by a good majority of the citizens in our community not only for his job duties, but also for his involvement with the community.